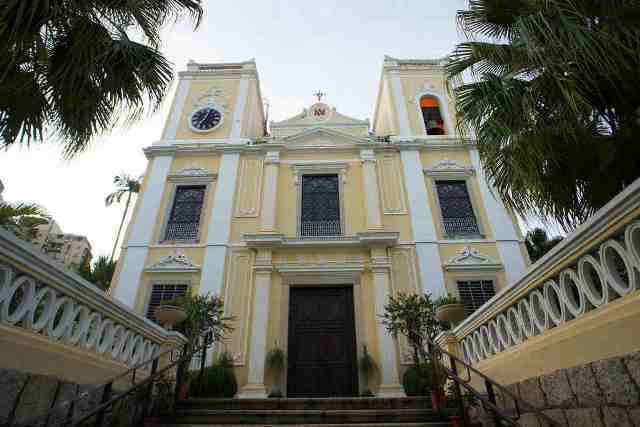 Very eminent because of its imposing twin towers, the St. Lawrence Church is one of Macau’s three oldest churches. This old church is also called as Feng Shun Tang, directly translated to the “Hall of the Soothing Winds”, for the locals. The original structure of St. Lawrence was built during the 1950s and was made entirely out of wood. It was then rebuilt by use of clay during the early 17th Century while its final renovation came during the mid-19th Century where the current stone building still stands.